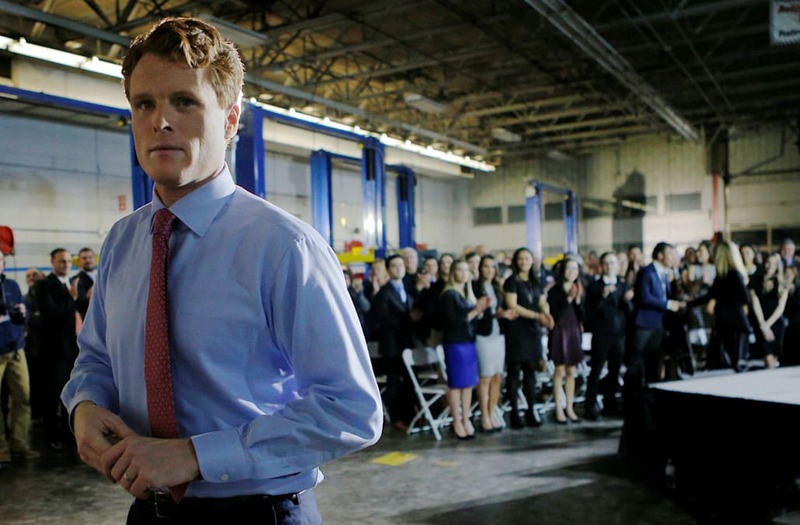 Democratic Rep. Joe Kennedy of Massachusetts gave an impassioned rebuttal to President Donald Trump's first State of the Union address on Tuesday night, but people on social media were more interested in his lips. The edges of Kennedy's mouth seemed to glisten excessively as he spoke, prompting a near-instant deluge of Twitter memes poking fun at the congressman's appearance. Joe Kennedy's drool is Marco Rubio's water bottle. And in true Twitter fashion, Kennedy's lips also spawned a parody account: @JoeKennedyLips. Joe Kennedy’s speech was quite good, showing some of the signs of JFK’s oratory and EMK’s passion. And proving why he’s a rising star. During the Democratic rebuttal, Kennedy criticized Trump's policies and claimed it was "targeting the laws that protect us." "Bullies may land a punch. They might leave a mark," Kennedy said. "But they have never, not once, in the history of our United States, managed to match the strength and spirit of a people united in defense of their future." I work in the coal industry. Very little has changed. Donald Trump's rhetoric on immigration at the #SOTU is nothing more than code words for a bigoted and hateful hard-line immigration policy. Keeping open gitmo gets a big applause? That rooms seems out of touch with so much of the world i talk to. Somehow, Trump will claim that there were more people in the room for his State of the Union than Obama's. Puerto Rico thanks you for the paper towels. #SOTU “America filled the world with art and music....” and then ended nearly every art and music program in public schools in the USA.